A world renowned harpist who was forced to pull out of a major festival last year, because she was battling breast cancer, is keeping her promise to perform at this year’s event instead. Former Royal Harpist, Catrin Finch will have a starring role at the Wales Harp Festival at Galeri in Caernarfon on April 17 and 18. After being diagnosed with stage-three breast cancer, she had seven rounds of chemotherapy over four months and underwent a double mastectomy at Velindre Cancer Centre in Cardiff. In 2000 Ms Finch, who hails originally from Llanon, in Ceredigion, became the first person since 1872 to hold the post of Royal Harpist. Her four years playing for the Prince of Wales provided a springboard to a glittering, career. Since then, she has performed extensively throughout the USA, South America, the Middle East, Asia, Australia and Europe, both as a soloist, and appearing with many of the world’s top orchestras. She said: ““I was determined to perform at this year’s Wales Harp Festival because Elinor Bennett, the festival director, was my harp teacher for many years. “I’m so looking forward to it and I’m just sad I had to miss out on last year’s event. It just wasn’t possible due to the treatment I was having for my breast cancer. “But that’s all done now and I feel that journey is behind me. I’ve come out of the other side. I’m back doing what I love and have an incredibly busy schedule ahead of me. “It was a horrible time, there’s no question of that. Unfortunately I have a faulty gene that left me susceptible to breast cancer. “The worse thing, in some ways, was that I couldn’t play the harp for a couple of months, between September and October. That was difficult as I try and practice every day when my schedule allows. Catrin added: “ I will be performing works by French harpists who were composing at the time of the Treaty of Versailles, one hundred years ago, as well as music by Bach, Piazzola and William Mathias. “While I’ll be performing a more classical programme, Monika will be performing more of her own jazz-based compositions. It will be an interesting mix of styles. “I’m really looking forward to playing in Caernarfon as I’m currently heavily involved working on a project with Seckou Keita, a Senegalese kora player and drummer. “We have together released two albums and are touring, bringing a collaboration of very different music styles to a wider audience. I couldn’t be more delighted with the way the music we perform has been received. Just like the Olympics, the International Harp Festival is held every four years and in the intervening years the smaller-scale Wales Harp Festival is to encourage young harpists and develop audiences. Elinor said: “The festival grew out of the Easter harp schools my father (Emrys Bennett Owen) and I organised more than four decades ago. “As well as welcoming Catrin Finch and Monika Stadler to perform in Caernarfon, harp classes and workshops will be held during the day for harp learners of all ages,with a team of experienced teachers from North Wales – Dafydd Huw, Catrin Morris-Jones, Elfair Grug and Elinor Bennett. “On April 17t the competition to commemorate the renowned harpist, Nansi Richards, who died in 1979, will be held. The Scholarship, worth £1500, will be awarded to a young harpist from Wales or living in Wales. The theme of this year’s festival is the June 1919 signing of the Treaty of Versailles which helped bring an end to the Great War. The then Prime Minister David Lloyd George, who represented Caernarfon, played a big role in bringing peace to Europe after the treaty was signed. Festival Director Elinor Bennett said: “He was instrumental in the signing of the Treaty of Versailles which helped bring an end to the dreadful war. “I think it’s important we celebrate the signing of the treaty and the role David Lloyd George played in the negotiations. 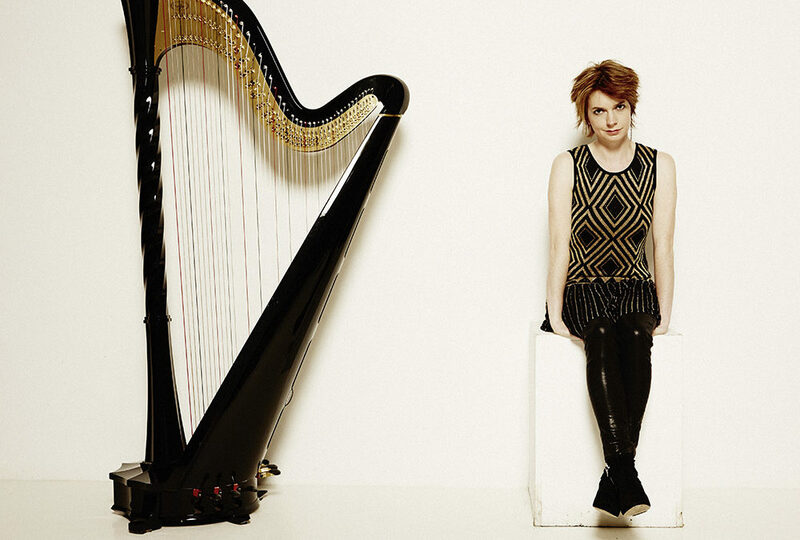 “We wanted to commemorate the centenary of the signing of the treaty which is why Catrin will perform the work of three very influential French composers and harpists during the festival. “I’m also looking forward to hearing the work of and Monika Stadler who will be performing many of her own jazz-based compositions. “It’s going to be another amazing two-day festival packed full of concerts, classes and workshops.